We have an egress window in our basement, which is the required emergency exit. Its not very pretty to look at, but it provides natural light so we didn’t want to hide it. We tried to dress up the window by adding blinds and curtains, and even went as far as putting pebble stones in the window well. 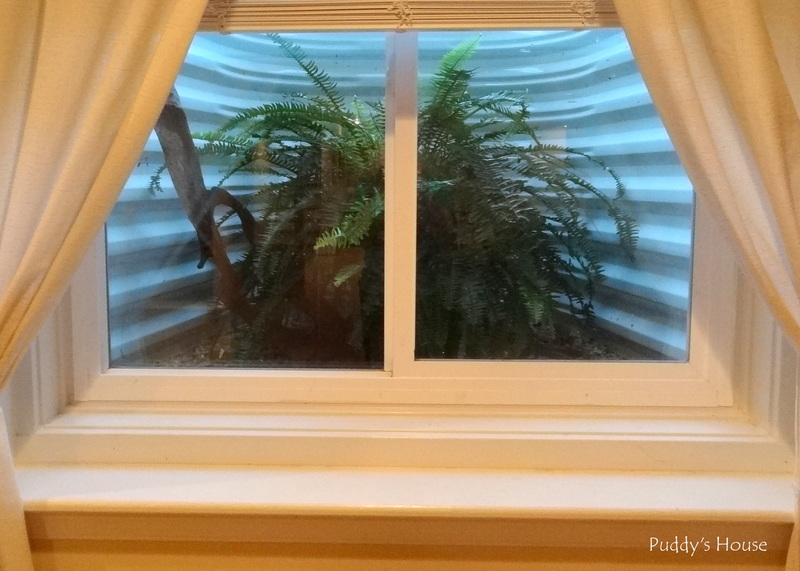 Then, I had the great idea to put a plant in the window well. Since it is a basement, it is challenging to add plant life because of the lack of natural light. But, the window well got light and this way the plant would have a better chance of survival. 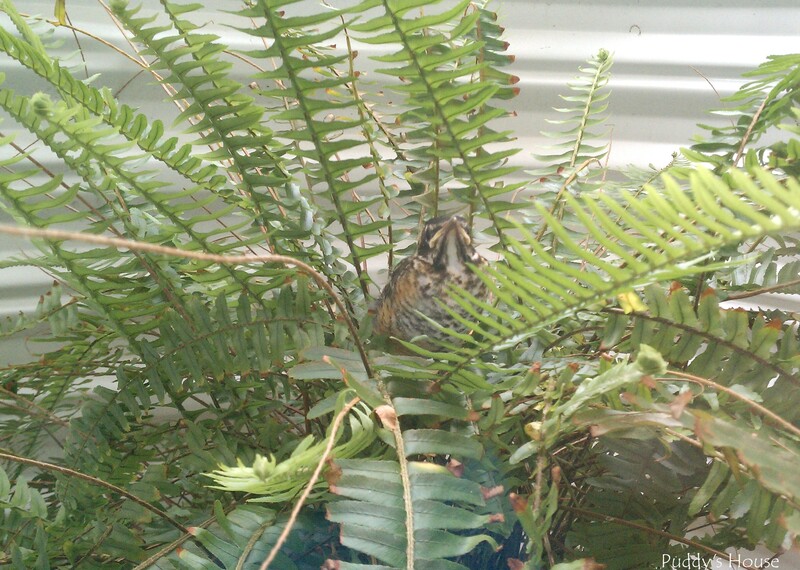 I got a nice big fern and put it in the window well. You might notice there is a large piece of driftwood in the window well also. The driftwood was a later addition, after we realized that the window well had become home to some frogs. Before the driftwood, Bob added a water bowl that I picked up at Goodwill. 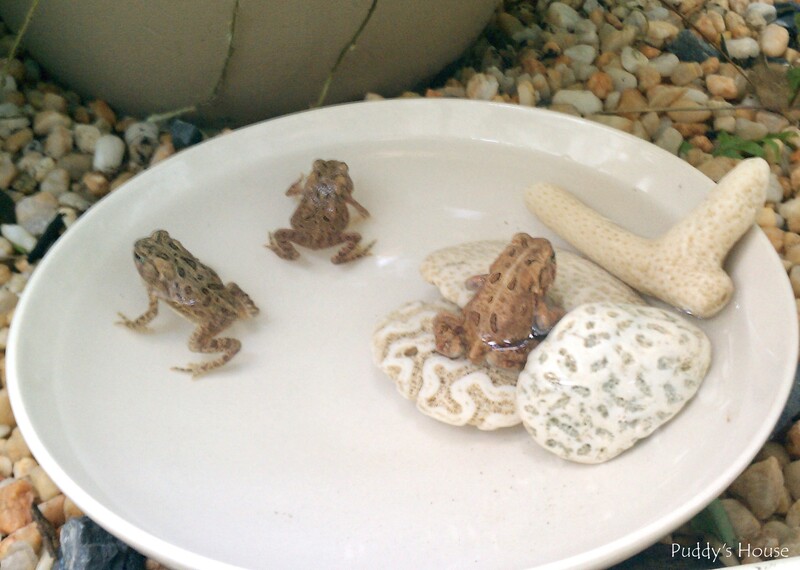 The frogs loved the water bowl. The shells were added because they seemed to have difficulty getting up the sides of the bowl. 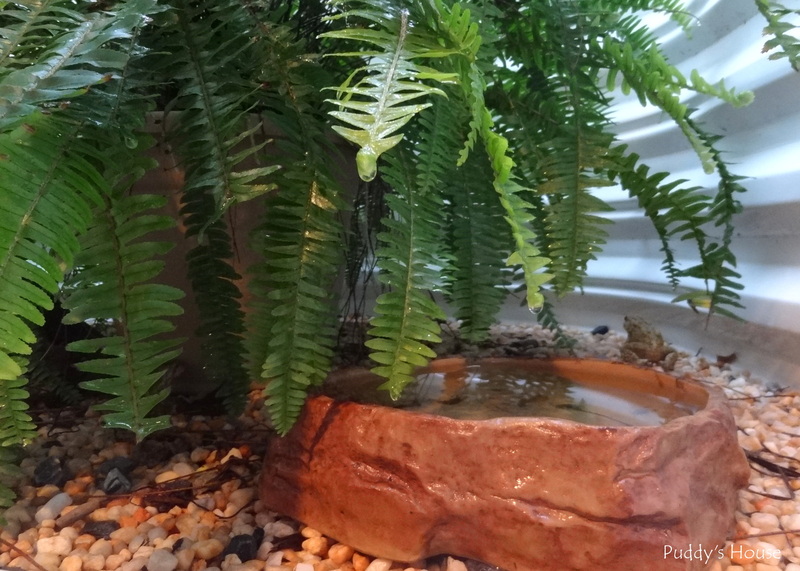 Eventually, since the frogs seemed to multiply…or at least tell their frog friends that it was a nice place to live, we added a real water dish from the pet store. Oh, and we also started feeding them crickets!! We would go get about 50 crickets and the frogs just had a party. Some of these pictures are from last summer. The frogs provided us with so much enjoyment, that we created Frog City (as my nephews named it) again this year. Puddy absolutely loves the frogs. If we are watching out the window, he will jump up and down and cry and want up to see the frogs too. 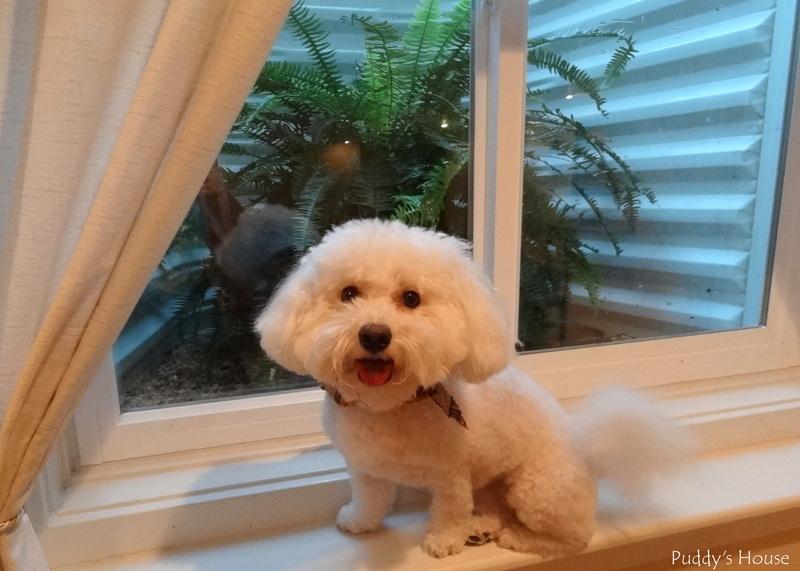 Puddy also gets excited about looking out the window because it seems to attract other creatures as well. We have had our fair share of bunnies and even larger rabbits end up in the window well. One time there was a cat in there too…it had preyed on a bunny and they both landed in the window well. We apply immediate catch and release with the other animals. This summer, we had 2 baby birdies in the well. The birdies were just learning to fly and couldn’t figure out how to get out of the window well, so I had to climb out there and help them back to the yard so they could get back to their momma, who was close by watching. 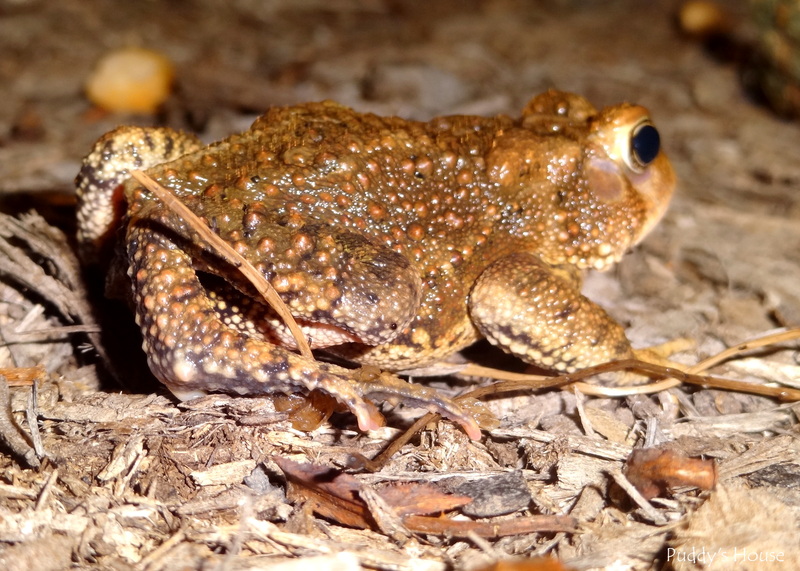 As the weather begins to turn into colder nights, we slowly release the frogs back into nature so they can bury themselves into the ground to survive the winter. We released the frogs a few weeks ago after a family dinner. As I said, the frogs have provided us with much enjoyment, so it was only natural to make an event out of releasing them. 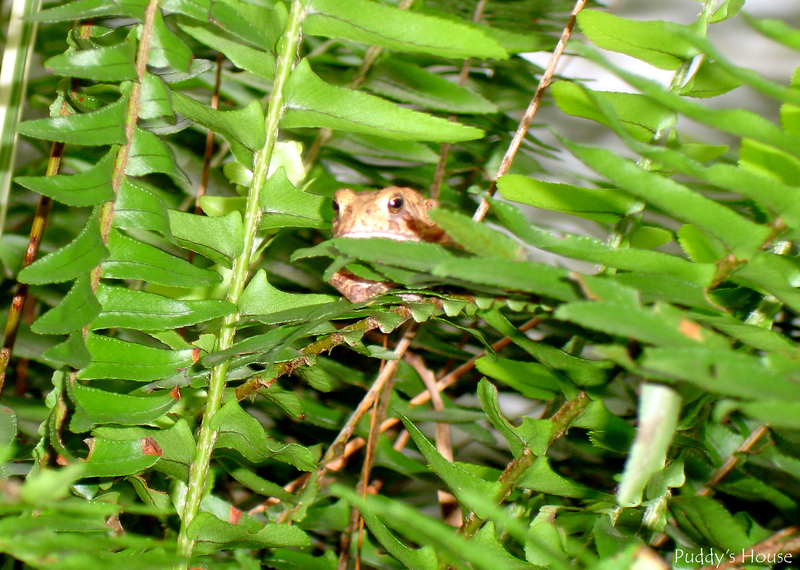 But, it seems frog season was not over, because last week a new one landed in the window well. 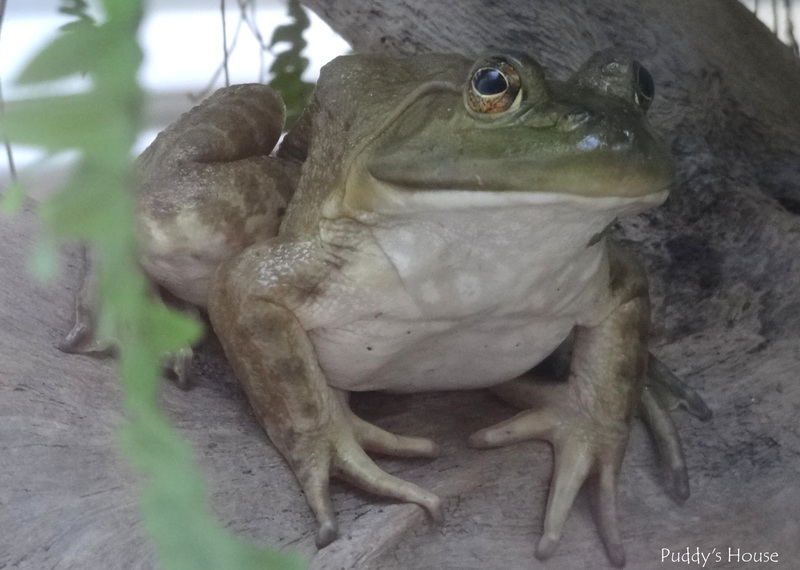 And, he’s a big bull frog! We will release him too…but not before our family gets to come over and see the big guy!